Winter is still a great time to walk and be outside! 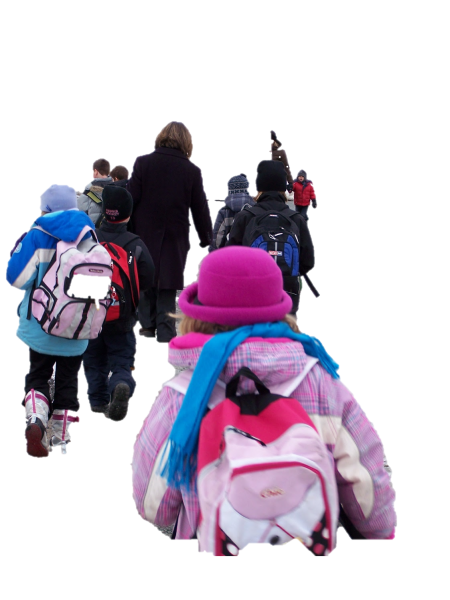 Schools and youth groups are invited to walk at school or around the neighbourhood, walk to school or go for a hike on Winter Walk Day. Don't let cold, wind, snow or rain keep folks from heading out for a walk. If they dress properly and practice winter safety, they're ready to go! Walking is fun when you walk together. It's good for our bodies because of the extra physical activity. It's good for the Earth if you walk as transportation because it cuts down on the number of polluting cars on our streets. By completing all these 4 steps your school/group will be automatically entered to win one of two $50 MEC gift cards. Your school/group's name will be entered in the draw twice, if you send us a picture or two of your event to share or feature on our website!